Betting deals differ in the sense of who they are aimed at. Some deals are aimed at new customers which are formed as Welcome Bonuses or Sign Up Offers. Some come in the form of “No Deposit Bonuses” and others you have to deposit a set amount in order to claim your bonus. Then there are the free bets and bonuses for existing customers, also known as loyalty bonuses. However do check the wagering requirements before accessing these types of bonuses as t&cs apply. Welcome bonuses are a great way to kickstart your betting campaign with a bookmaker. Some can be more rewarding than others and some can be specific to your betting market, therefore would be the better option. Some bonuses are more popular than others and are commonly used, such as Free Bets and Matched Deposit Bonuses. New customer offers give you more betting chances and can be very useful on certain sporting events to get involved and experience new markets. In this bonus sections, you can be offered anything from free bets, enhanced odds, free cash and more! Big sporting events will always have some sort of encouraging bonus offer on. Some bookmakers will reward existing customers who continue to fund their account by giving them extra credits to allow them to play with more when it comes to betting, giving their funds that extra boost. Particular betting sites offer weekly clubs to customers, this is a loyalty scheme which allows players to win things like free bets when they bet a certain amount per week. These offers keep up your confidence. Free Bets and bonuses keep you interested and show you appreciation as a player. Free Bet stakes bonuses are probably most peoples favourite, you can win a huge free bet amount from betting even the smallest amounts. Most online sportsbooks will award you with a free bet after you make your first deposit. You should be aware that when you place your risk free bet, your stake is not returned if the bet wins, only the winnings are returned. The deposit you have to make in order to access the free bet bonus will have a specified min deposit amount. For example it may be that you have to deposit £10 to get a free bet. From here there can be possible time limits to use the free bet, some bookies might tell you that you have to use the free bet within 7 days. The Free Bet offers that are advertised on the web and through other media platforms are available not just on web casinos, but also on the mobile versions. As you may be aware, a lot of bookmakers have a mobile version of their betting site, which can be downloaded on iOS and Google Play stores. It is essential that these betting companies promote the same deals and bonuses so that you as a customer do not miss out on anything. A matched free bet is the most common free bet that you will find advertised by bookmakers. A matched free bet is when the betting site matches your first bet. Bookies will normally set a minimum that players have to bet in order to get this free bet. No deposit free bets are a rarity, but possibly the most exciting form of free bets for players. It is where bookmakers will give you a free bet without you having to make a deposit. This allows you to try out their site before chancing your own money for a website you may not enjoy, that is why typically it is an offer given to new customers. A bookmaker could set a limit of how many betting credits you can achieve, these credits are then split between bets. For example if you bet £25, you may be awarded £25 in bet credits. All players love a risk free bet, because there’s nothing to lose. Bookmakers will back your bet and if the bet loses, you will recieve your betting stake back. However there will be a max return amount set. Enhanced betting offers encourage players to bet on results that before hand, may not of seemed worth it. For example you could have odds around 1/2, nut you are wanting to win big so you know that this isn’t the easiest way to do that. But the bookmaker has decided to enhance your odds and has increased the odds to 50/1. These offers are typically given to new customers. There will be a maximum betting stake, for example £10 and the winnings come in the form of free bets, therefore cannot be withdrawn. This is a free bet bonus which correlates to the amount that you deposit. For example, it could be a 100% match deposit bonus up to a certain amount. In order to find out what to do next with your free bet winnings, you must read the terms and conditions of the bet. For most free bets, the winnings from the free bet will be credited into your account and then has to be wagered again before being able to withdraw it. Some turnover requirements can be strict however. In some Cases, bookies will replicate your deposited amount in bonuses, this comes as a percentage. So, it can be a 100% matched bonus or a 50% etc. For example, it could be 50% Matched bonus up to £100 which means that if you deposited £100, you would get a £50 bonus. Deciding which type of bonus suits you the best is the next step. A free bet is more beneficial for low deposit players. This is because some sportsbooks will offer you extremely good odds, for example 50/1 odds on a match where there will is almost certain to only be one particular winning, therefore putting £1 on it would award you with £50 in free bets. These free bet offers normally have terms & conditions that mean you can only bet a certain amount on this offer, usually no higher than £10. This is better for low depositors who don’t want to bet high stakes. Matched Bonuses are more beneficial for players willing to invest a lot of time with this particular bookmaker and will happily deposit high amount for a matched percentage. 10Bet have a welcoming free bet offer. Bet £10 and be rewarded with £30 in free bets. This is one of the best free bet offers to any new customer. 10Bet have such a broad range of Markets covering all sports globally. After signing up to 10Bet, the fun doesn’t stop there. 10Bet offer its customers loyalty bonuses and bets to keep you entertained. Click below to claim now and also read more about 10Bet. 10Bet are also one of the few bookmakers that offer promotions just for downloading the betting app. K8 are an increasingly popular bookmaker that will award you with a matched deposit bonus of 50% up to £50. This bonus is extremely rewarding and awarding you with a total of £50 maximum just from depositing will certainly help fund your specific bets. It is a great kick starter for new players. Click the button below to find out more about this offer including the terms and conditions. BlackType have a rewarding free bet offer that rewards players with £10 when they bet £10. 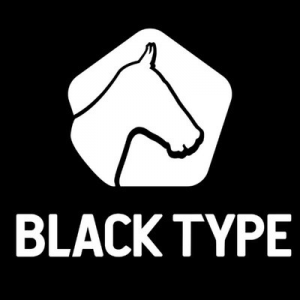 BlackType cover a huge range of different markets to satisfy you with your favourite sports you want to bet on. Not only do BlackType offer you a welcome bonus, they also haver a Free Bet Club! Find out more about this Free Bet Club and how you can be part of it to receive all of your Free Bets, just by clicking the button below to claim your Bonus! Deposit and Bet £25 and get a £25 bonus. This is one of the more rewarding bonus offers and you can claim it by clicking the button below where you will also be able read a review of RedZone. You could start your betting account with a maximum of £300 using this welcome offer. RedZone have one of the best customer support team so if you have any queries, you can easily contact them through Live Chat, Telephone or Email. Click the button below to read through our RedZone Sport Review and Claim your sign-up bonus. SportNation have a matched deposit bonus offer where you will be awarded with a 50% Deposit Bonus up to £100 using the deposit code, this can be found by clicking the button below, directing you to this offer. Once you have signed up to Sport Nation, you can then take part in their Free Bet Club which rewards you with weekly free bets to get stuck into. Read our Sports Nation Review and find out what it takes to be eligible for this bonus and see what the value of these rewards are. SportNation is a online betting site that is also applicable on mobile casinos, giving you the freedom to access your account and place bets anywhere at any time. Each sign-up offer will have different requirements in terms of activating the bonus. With free bets, there are different reward amounts depending on how much you deposit and what amount the bookies are willing to offer, free bet amounts are normally within the range of £10-£100. The other requirement that sportsbooks normally want is a minimum odds requirement which means that you have to deposit or bet a certain amount or more in order to access the bonus. There are many more t&cs that apply, for example payment methods, such as credit card, direct debit, PayPal and more. terms regarding whether winnings can be withdrawn or awarded as bet credits. These wagering requirements on customer offers are so important to read before activating the bonus amount offered, it is not always the case that the offer is always how it seems. Once you have placed a bet in order to get a bonus, you might not necessarily be able to get your money back or cash out so that is why it is important. Also notice that sportsbook offers and bonuses are not the same as a casino bonus, if the betting sight also has an operating casino, it cannot just switch the sportsbook bonus winnings to the casino. some offers only apply to new uk customers and therefore if you are already an existing customer, you are not eligible for the bonus. A rollover requirement typically comes with a promo cash award. You may recognise it as well as wagering requirements. They are the same as wagering requirements as you have to have to abide by these requirements to receive your cash. To put it in perspective, we will use a useful example: If you deposited £50 for a £50 matched deposit bonus with a 2x bonus, you will need to place a total of £200 of qualifying bets to be able to then withdraw the bonus. Rollover requirements can also come with expiring times, so please check the t&c’s.